Leveraging deeper customer insights to drive personalised experiences requires more than simply customer journey mapping, according to SugarCRM CMO, Jennifer Stagnaro. Where companies are falling short is practical ways that take those insights and actually deploy them in their business to improve customer engagement, Stagnaro claimed. “We’re seeing people investing a lot of time and energy in all these big studies and documenting it all, and it looks pretty and you put it on the shelf, but people don’t know how to take those insights and make them actionable in order to change how they’re actually interacting with their customers,” she added. A study by Forrester released in June this year, Modernise your CRM in six steps, further backed up Stagnaro’s argument. The report found successful CRM is not only about features and functions or internal efficiencies, but about better serving and supporting customers during their engagement journey. It stressed too many CRM initiatives fail because they focus on siloed, internal strategies within the marketing, sales or support organisation. 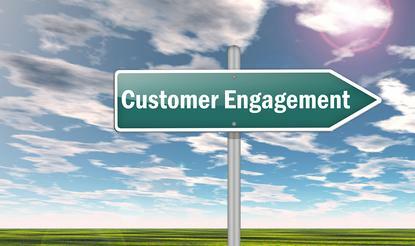 As a result, CRM efforts miss key moments that matter to customers. In contrast, forward-thinking companies start by articulating their customer experience strategy in their customers’ terms, which then guides investments. “Businesses of all kinds now are really investing heavily in how they make sure they’re putting in place digital transformation strategies that keep them ahead - and it all really centres on the customer,” Stagnaro said. “Businesses from financial services to retail to consumer package goods companies are really re-imagining how they support their customers on their journey. Stagnaro claimed Australian businesses are not doing enough and not being agile enough to make the changes necessary. As an example, Stagnaro pointed to one of SugarCRM’s clients, a sporting goods retailer in Latin America, selling all major global brands of sporting clothing and gear. “The company has a bunch of retail outlets and realised it wasn’t effectively engaging with their customer, and admitted it didn’t even know who those customers were,” she said. In order to gain deeper customer insights and serve customers better, Stagnaro said the retailer implemented the SugarCRM solution and started to provide loyalty cards, while using a combination of digital channels to learn more about customers. Stagnaro claimed the resulting engagement and increased visitors to the store was so high the retailer had four-hour checkout lines in the store. To leverage the overwhelming response, it created a mobile-friendly soccer game to keep customers engaged while waiting in line, which would collect information about what their favourite sporting team was while enticing them to win a prize. Stagnaro agreed we now live in the age of connected customer that demands engagement with your brand whenever and wherever they want. “The key as a business is to make sure that no matter how they are interacting with you, you know who that customer is and you give them a personalised experience,” she said. “Too often what I see when we deal with businesses all around the globe is they will come up with technical solutions that are in silos. So they will get a piece of software that interacts with a person on social media, or a marketing automation system where they interact and measure cost per clicks and everything through their digital marketing channels. But they’re often disconnected from who their customer is. Stagnaro said the “dark age of marketing” is now well and truly over, when marketers would send something out in the mail or through broadcast media and there wouldn’t be any way of measuring what the result would be. Leveraging deeper customer insights to drive a more personalised experience requires more than simply customer journey mapping, according to SugarCRM CMO, Jennifer Stagnaro. Where companies are falling short is practical ways that they take those insights and actually deploy it in their business to improve their customer engagement, Stagnaro claimed. “We’re seeing people are investing a lot of time and energy in all these big studies and documenting it all, and it looks pretty and you put it on the shelf, but people don’t know how to take those insights and make them actionable in order to change how they’re actually interacting with their customers,” she added. A study by Forrester released in June this year, Modernise your CRM in six steps, further backed up Stagnaro’s argument. The report revealed successful CRM is not only about features and functions or internal efficiencies, but about better serving and supporting customers during their engagement journey. It stressed too many CRM initiatives fail because they focus on siloed, internal strategies within the marketing, sales, or support organisation. As a result, CRM efforts miss key moments that matter to customers. Meanwhile forward-thinking companies start by articulating their customer experience strategy in their customers’ terms, which then guides investments. “Businesses of all kinds now we are seeing are really investing heavily in how they make sure they’re putting in place digital transformation strategies that keep them ahead - and it all really centres on the customer,” Stagnaro added. “Businesses from financial services to retail to consumer package goods companies are really re-imagining how they support their customers on their journey. But Stagnaro stressed Australian businesses are not doing enough and not being agile enough to make the changes necessary. Stagnaro explained one of CRM’s clients is a sporting goods retailer in Latin America, who sells Nike and Adidas along with all major global brands of sporting clothing and gear. “They have a bunch of retail outlets and they realised they weren’t effectively engaging with their customer, and admitted, they didn’t even know who their customers were,” she said. In order to gain deeper customer insights and serve their customers better, Stagnaro said they implemented the SugarCRM solution and started to provide loyalty cards, while using a combination of digital channels to learn more about their customers. As a result, Stagnaro claimed they drove engagement and increased visitors to the store so high that they had four-hour checkout lines in the store. To leverage the overwhelming response, they they created a mobile-friendly soccer game to keep customers engaged while they were waiting in line, which would collect information about what their favourite sporting team while enticing them to win a prize. Stagnaro agrees we now live in the age of the connected customer, who demand engagement with your brand whenever and wherever they want. “The key as a business is to make sure that no matter how they are interacting with you, you know who that customer is and you give them a personalised experience,” she said. “Too often what I see is when we deal with businesses all around the globe is they will come up with technical solutions that are in silos, so they will get a piece of software that interacts with a person on social media, or they might get a marketing automation system where they interact with them and measure cost per clicks and everything through their digital marketing channels. But they’re often disconnected from who their customer is. Moving forward, Stagnaro said the dark ages of marketing is now well and truly over, when marketers would send something out in the mail or through broadcast media and there wouldn’t be any way of measuring what the result would be.